There were, however, a few noteworthy changes in 2017. 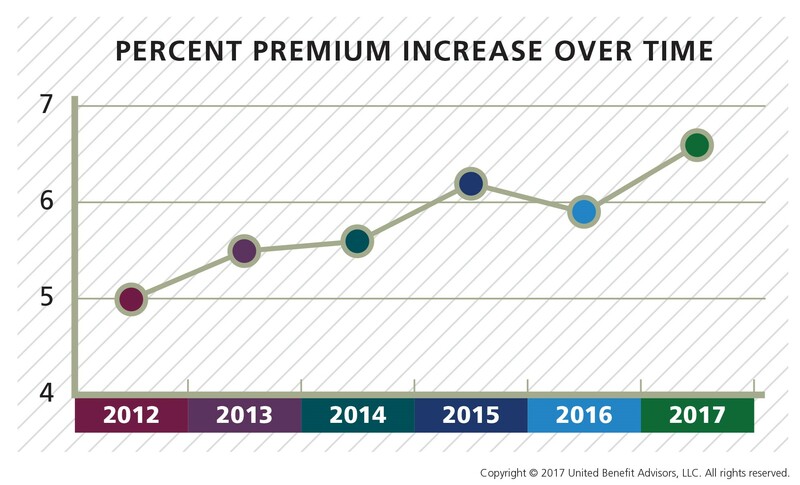 Premium renewal rates (the comparison of similar plan rates year over year) rose nearly 7%, representing a departure from the trend the last five years. 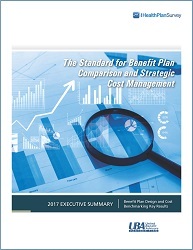 To control these costs, employers shifted more premium to employees, offered more lower-cost CDHP and HMO plans, increased out-of-network deductibles and out-of-pocket maximums, and significantly reduced prescription drug coverage as six-tier prescription drug plans exploded on the marketplace. Self-funding, particularly among small groups, is also on the rise. UBA has conducted its Health Plan Survey since 2005. This longevity, coupled with its size? and scope, allows UBA to maintain its superior accuracy over any other benchmarking survey in the U.S. In fact, our unparalleled number of reported plans is nearly three times larger than the next two of the nation’s largest health plan benchmarking surveys combined. The resulting volume of data provides employers of all sizes more detailed—and therefore more meaningful—benchmarks and trends than any other source. Read our breaking news release with survey highlights. For a detailed examination of the key findings, download UBA’s free 2017 Health Plan Survey Executive Summary. To benchmark your exact plan against others in your region, industry or size bracket, contact a UBA Partner near you to run a custom benchmarking report.